If you are one of the users who see Windows 7 stuck on welcome screen, then welcome to the club. Here, every user facing this issue is seeking for a solution. And hence, we are here to offer you one. People face such issue due to many reasons. This can be shortage of memory on the main drive or due to a virus. Hence, you need to try out every solution that can eliminate this issue. Let us have a look on the solutions that might help you if your Windows 7 computer stuck on welcome screen. Well, as silly it might sound, this is one of the most effective solutions that have worked for some of the users. This is because the PC tries to make a connection with the Internet. Hence, it you see Windows 7 stuck on welcome. All you need to do is disconnect the PC from Internet connection. If you see your computer stuck on welcome screen, then you can try restarting the Windows update service. All you need to do is follow the given below steps if you see your laptop stuck on welcome screen. Step 1: Open the Run dialogue by pressing Win + R. Now type net stop wuauserv in the run dialogue and press Enter. 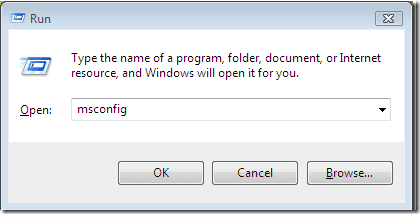 Step 3: After you are done executing the commands, type exit and press Enter to get out. Now, restart your computer. If you still face the issue, then you can always run the system check to see if Windows 7 freezes on welcome screen. Follow the below steps given below if your Windows 7 stuck on black screen after welcome. 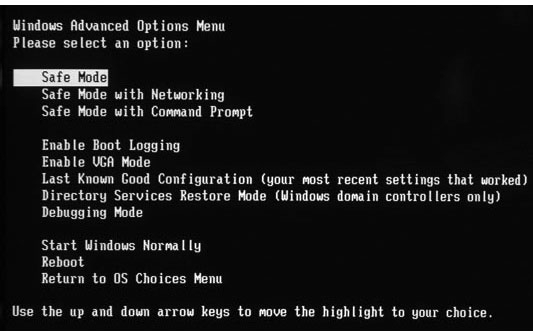 Open the command prompt and type in the following command one by one and execute them simultaneously in the same order by pressing Enter. That's it. You are done with the system checks. You can restart the PC and see if Windows 7 stuck on welcome screen fix works or not. If still you face the "windows 7 stuck at welcome screen cannot access safe mode" issue, then you can try startup repair. This will help in possibly solving the issue. The startup repair process can solve the issue by restoring the significant OS files that may be missing or damaged. In order to start the process, choose Startup Repair after booting to System Recovery Options. Then follow the on screen instructions to end the repair. If none of the above solution works, you can always put your hands on Windows Boot Genius. This tool can be used to solve all the stuck issues for all kinds of OS. If you opt to use this software, then you will need to follow the below steps. Step 1: Launch the tool on your computer. You will require making a bootable disk using a prepared CD/DVD or flash drive. If you are employing a CD/DVD, enter the disk in the CD-Rom driver. If you are utilizing a flash drive, connect the pendrive to the USB port. Now, click on Burn to start burning repair disk. Step 2: Now, connect the pendrive/CD to the PC that has the issue. Press F12 nonstop to boot the PC. Now click Enter. Step 3: An interface of the tool will appear on the screen. Select the reason for your problem from a menu present on the left side. Follow the instructions on the screen. You are done! Looking at the big picture, you had a glance at the top 5 solutions if your computer gets stuck on welcome screen Windows 7. You can begin by trying to simply disconnect the PC from Internet. Next you can also try restarting Windows Update Service, running system checks, and performing startup repair. If none of the above method works, then Windows Boot Genius will definitely solve your issue within no time. In the end, do not forget to offer your valuable feedback. Also if you have any other solution to solve the windows 7 stuck on welcome screen issue, you can tell us. This can be done by commenting below.